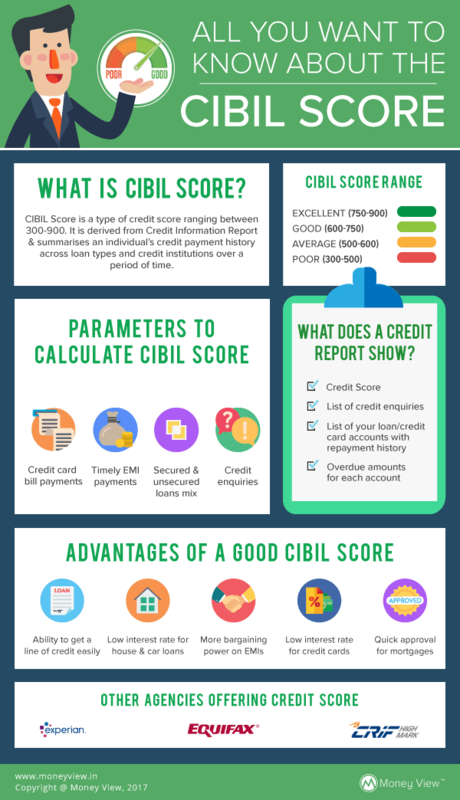 What is Credit Score/CIBIL Score? Just like your exam score signified your performance as a student, your credit score also known as CIBIL score indicates your performance as a borrower. Credit score indicates your repayment habits to your bankers so that you can be counted eligible for a loan from the bank and more importantly, avail a loan at favourable terms with the bank. Even when the banks may be having prior dealings with you in terms of savings accounts, they rely on your credit report to know about the borrowing and repayment history of your existing loans and credit cards. This helps them judge the credit risk for the loan. For an individual with a credit history of more than 6 months, CIBIL score ranges from 300 to 900. An individual with a higher CIBIL score is perceived as a better borrower than an individual with a lower score. So, an individual with a credit score of 800 will get a loan more easily than one with a credit score of 625. As such, your CIBIL score impacts your access to new loans and credit cards. Hence, it is important to have a good score. Repayment History – This is the most weighted parameter deciding your credit score. A repayment history with no defaults will help you get a good credit score. This includes timely EMI payments of loans and regular and full payment of credit card bills among others. Credit Mix – Credit score also depends on current credit mix of the borrower. A better debt mix comprising of both secured loans and unsecured/ personal loans/ credit cards helps you improve your credit score. Credit Inquiries – Credit report also includes the list of loan inquiries made in the recent times. The credit information bureau keeps a record of all the inquiries made by banks for the borrower’s credit report and as such, frequent credit inquiries over a short span may be perceived as the reluctance of other banks to grant you loans. 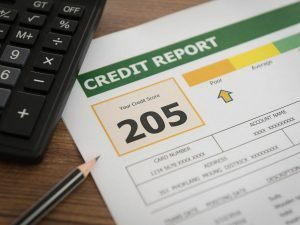 A credit report will feature your credit score, list of your loan/credit card accounts with the repayment history and overdue amounts for each account and also the list of credit inquiries made. Open CIBIL website. Click on the free credit report link on the page. This will take you here. Click on the ‘Get Your Free Annual CIBIL Score & Report’. Enter the required details on the page that opens. The details required are PAN, Email Address, Date of Birth, Gender, Income Type and Monthly Income. The next page will then ask for few more details like name, address, phone number etc. The details will then be matched by the server with the database. Once, the information matches, the credit report will be made available to you. It is also important to note that the credit report is accessible only for a fee from the portal. However, the users can download the credit report once for free every year. One should make the most of this facility to track their credit score. There are a couple of other credit bureaus offering credit history and credit reports viz. Equifax, CRIF High Mark etc. You can check your credit report at these websites also. They are approved by the RBI. Each of the websites may show a different score, but it is highly unlikely that the scores will differ by a wide range. The difference may be there due to different methodologies for calculation of the credit score, timing difference in the availability of the credit data by banks etc. Recently, a couple of public sector banks have linked their interest rates with credit score. Hence, it is really important to have a good credit score for better eligibility for loan amount and sanction terms. Borrow smart with a better credit score, but repay the loans more smartly to maintain a good score. Simardeep Singh is a Chartered Accountant based in Delhi. He loves sharing his knowledge about personal finance and investment. Basically this cibil is only depends on banks. If they make mistakes or want to take revenge they can do. If we try to put our documents nothing happened. Or cibil nothing to do. Well even while it is true to say that the score depends upon the information from banks and other lenders, you can dispute the information in case you feel the same has been put up wrongly. CIBIL then processes it in a time bound manner and also marks the same as disputed. As such, its impact on your loan applications gets eliminated. The procedure to check your CIBIL score is highlighted in the article above under the para ‘Finding your CIBIL score”. If, i didn’t taken any loan or emi, then how my cibil score will calculated, and then how can i get loan.